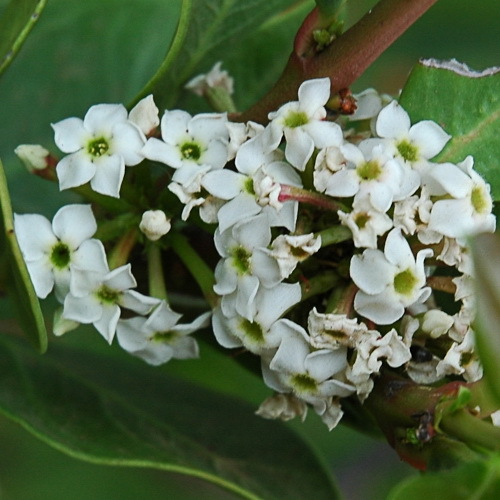 A medium to large woody shrub with attractive hard, dark green leaves. 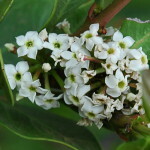 Clusters of pinkish white, sweetly scented flowers are followed by large plum coloured berry-like fruits which are relished by birds. Acokanthera oppositifolia is usually found growing in the shade of other vegetation on forest margins woodland and bush clumps.